Auto Laser Lettering (ALL) program allows users to create more sophisticated, decorative lettering using a galvanometic laser. 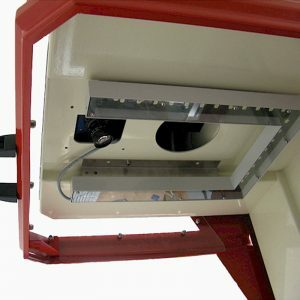 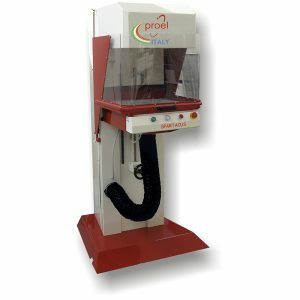 This type of laser comes on the LaserBridge or E-Laser single-head laser machines, which work in conjunction with embroidery machines as well as the Spartacus standalone laser. 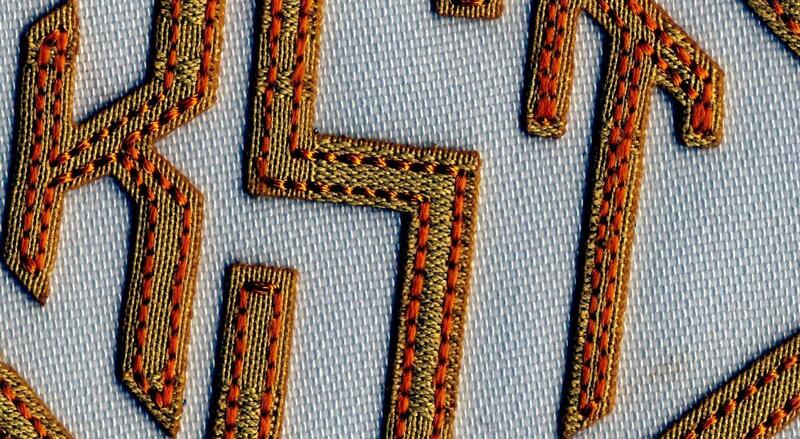 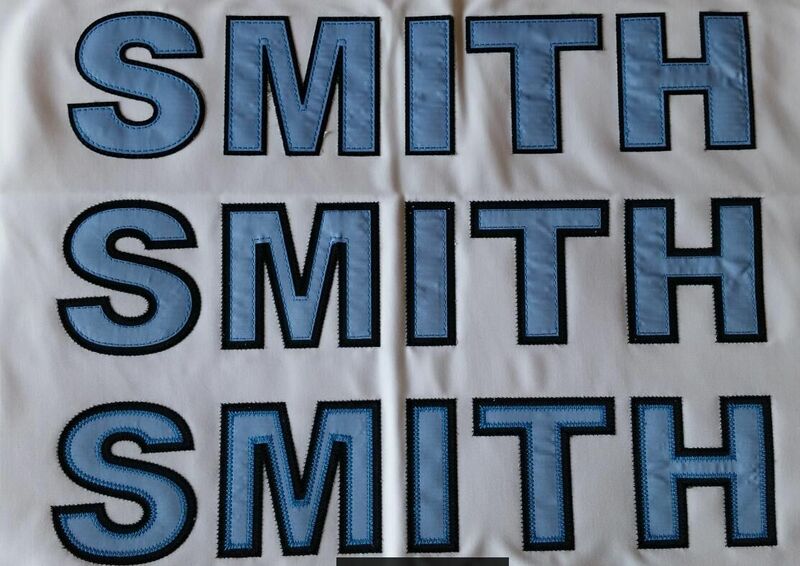 Auto Laser Lettering automates laser-cut appliqué letters increasing productivity. 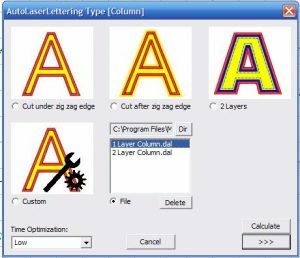 This optional program has the capability to do multiple sizes in different fonts at the same time whereas previously it could do only one size in one font at the same time. 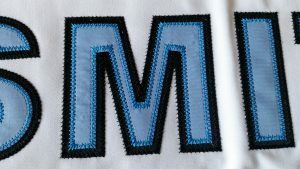 In addition, once a combination of fonts and sizes are determined, a template can be created and saved for repetitive use. 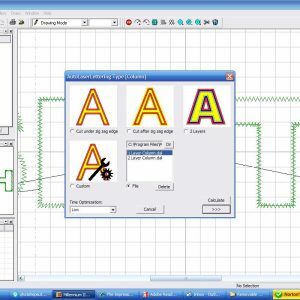 This versatile software program can create motifs on a curve. Another new feature is motifs on a curve. 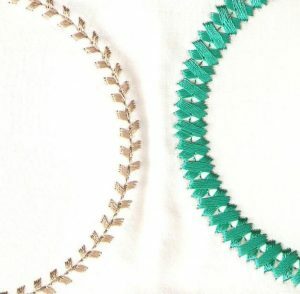 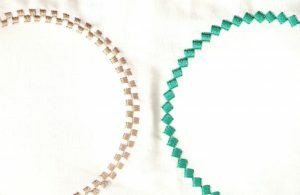 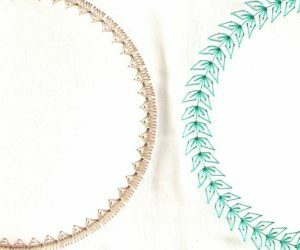 Designers can create a variety of decorative stitches like a miniature French dot, polka dot, rings, cross stitch, golf ball, tennis racquet, soccer ball, baseball, etc. 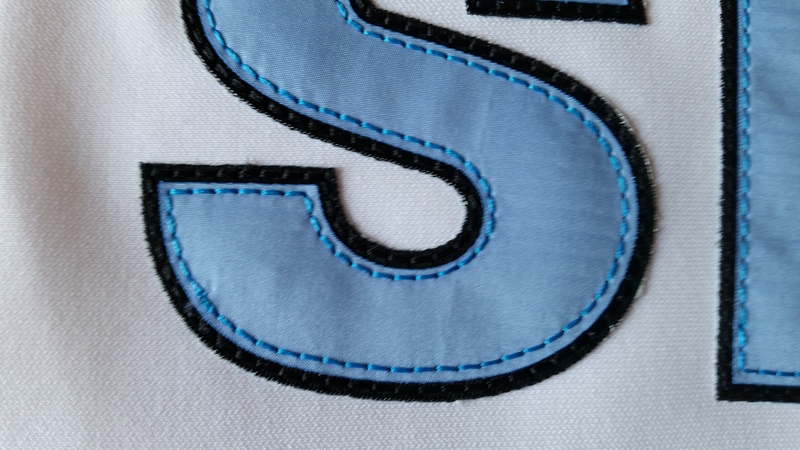 The motif is limited only by the user’s imagination. This motif can then be applied to the outline of any shape letter. 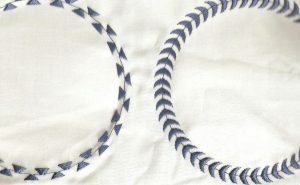 Previously, motifs could be applied only in straight lines. 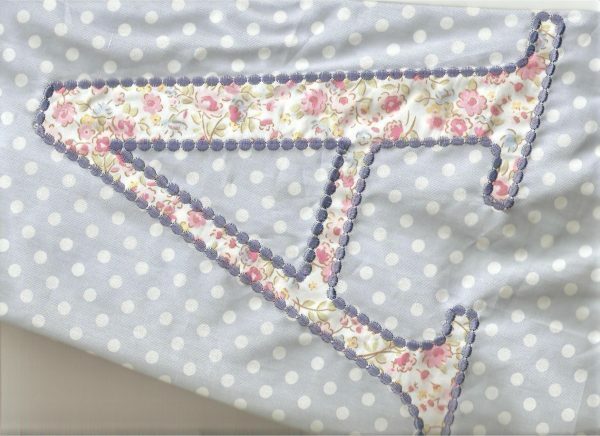 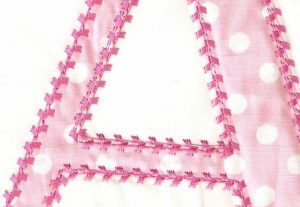 Dress up a letter with a specialty stitch such as French dots, flowers, triangles, ovals, and more. 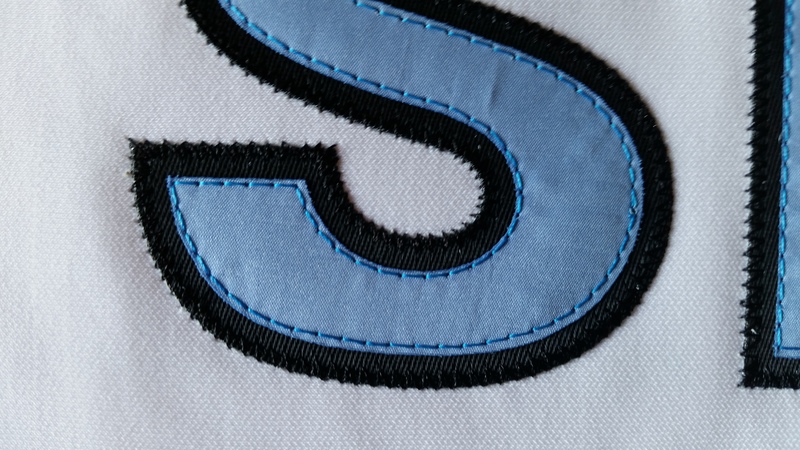 achieved. 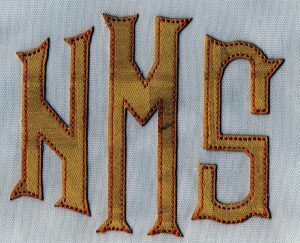 Once a style is completed, it can be saved for quick recall, where the user would only need to enter the new lettering. 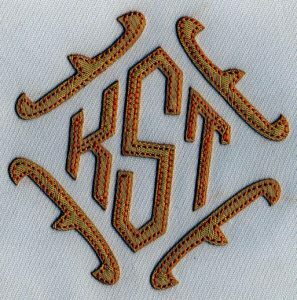 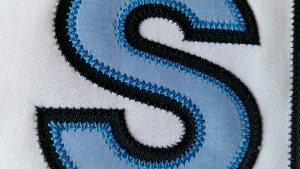 With the ALL program, which is a derivative of FocusCut III laser cutting software and Proel Millennium digitizing software, users can take advantage of the newest, fastest techniques for creating appliqués embroidered lettering and numbering, the easy way. 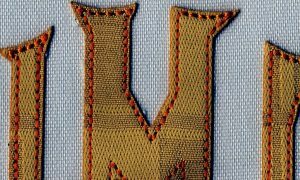 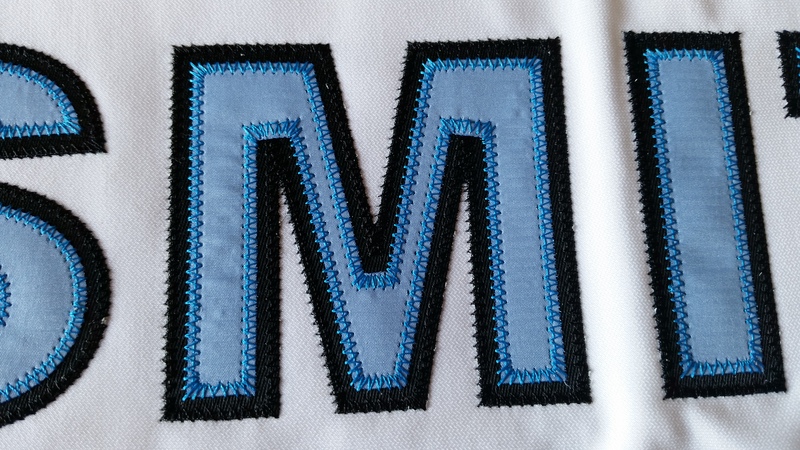 ALL automates the process of designing number and letter appliqué designs that are then sent to the laser for cutting and embroidering. 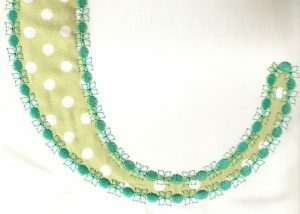 With ALL, it is profitable to create even a single piece because of the time and labor savings. 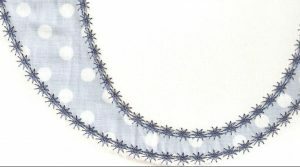 ALL offers full control of cutting and stitching line placements thus enabling the user to create a variety of appliqués, including but not limited to reverse, multi-layer, and fashion trim appliqués where a running stitch is sewn in the middle of the fabric and then cut on both sides of the stitch to create a fat-looking column. 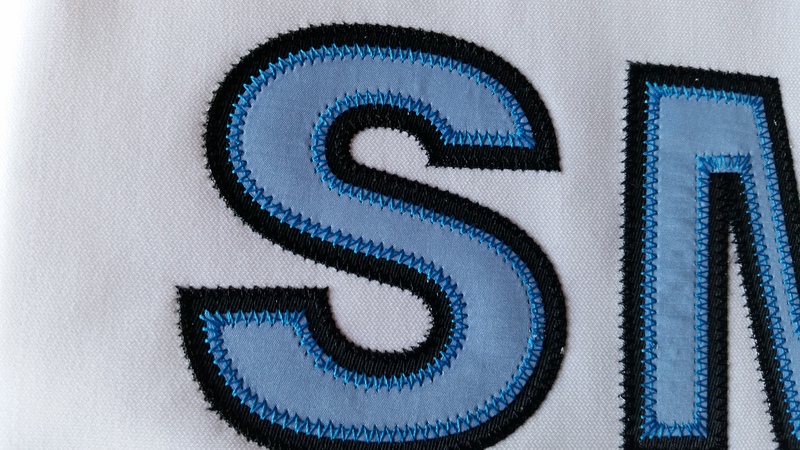 Favorite styles may be created and the font, stitch type, size, and border can be saved for quick recall. 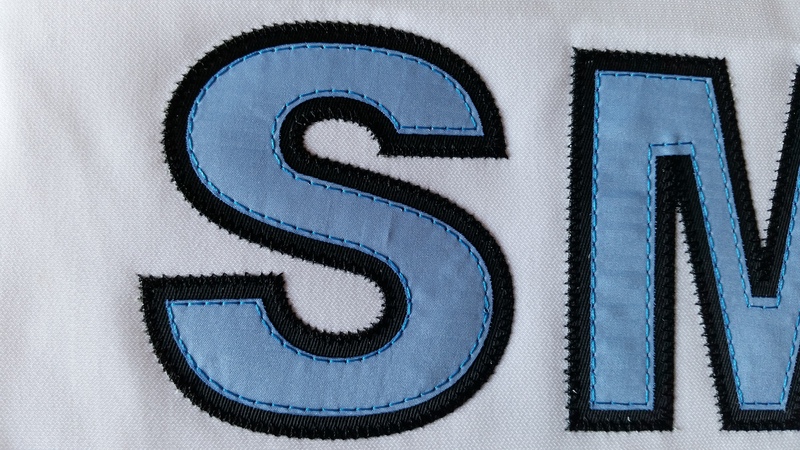 ALL also can be used for vector shapes and images other than letters and numbers, thus making it an automatic appliqué digitizing system as well. 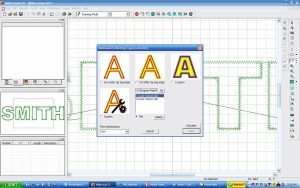 The same capabilities that are used for letters and numbers may be applied to any True Type image, thus making ALL a program that automates and combines stitching and cutting simultaneously. 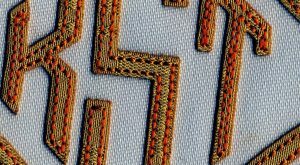 The greatest feature of ALL is its ability to automatically generate embroidery data, cutting data, and the necessary automatic offset when using a LaserBridge or E-Laser machines. The automatic offset feature tells the embroidery machine and laser where to go after the embroidery process is completed. 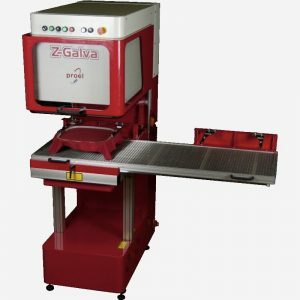 It offers full control to allow for precise positioning of the laser as well as the correct depth that the laser should cut.